My traditional Puerto Rican friends might hate me for this paleo mofongo recipe, but I think it’s delicious. Mofongo is a traditional Puerto Rican dish. It’s a mixture of plantains and garlic. And while my Puerto Rican friends might mock me for saying this, it’s almost like a tropical mashed potatoes. But instead of potatoes, they use plantains. Unlike my fried plantain recipe, this mofongo recipe calls for unripe plantains, so it’s much less sweet tasting. This paleo mofongo recipe makes a perfect side dish for anything you’d serve mashed potatoes with. Traditional mofongo is made using a wooden mortar and pestle, but I didn’t have one of those. 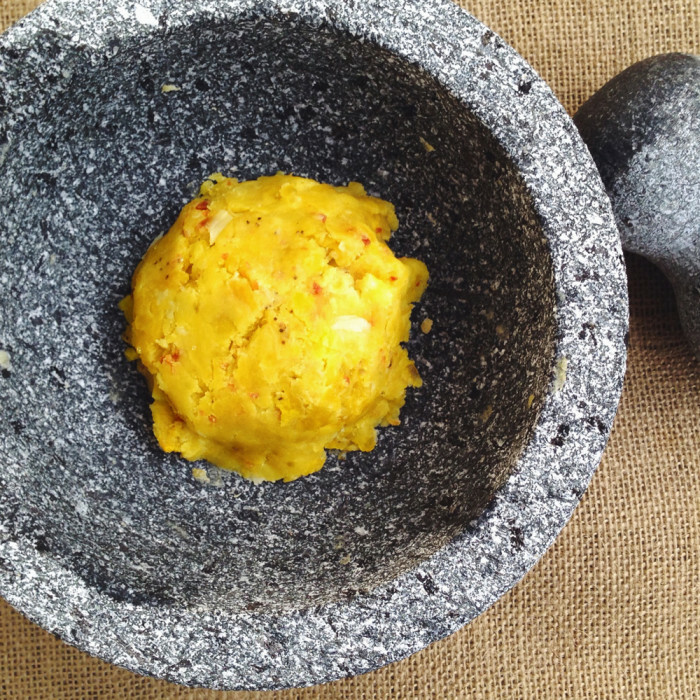 So I used this granite mortar and pestle to make my paleo mofongo recipe. You can pick one of these up for around $20. Or get this one at Amazon if you’re looking for something more authentic. I’ve modified this mofongo recipe to be a bit easier to make, plus I’ve made it paleo. Heat some coconut oil over medium high heat. I put the coconut oil in a pot to keep the oil closer together. And I put enough oil in the pot to reach halfway up each slide of plantain. As the oil is heating, drop your cloves of garlic into the oil and cook them a couple minutes. You should get them just slightly browned on each side so they aren’t completely raw when you use them. Remove them onto a napkin to let the excess oil drip off. Then cook the plantains. I had to cook mine in three batches because I didn’t want to waste too much precious coconut oil. Once your first full plantain is done cooking, add the garlic, cooked plantain, cooked bacon, and a pinch of salt into the mortar. Crush it using the pestle. Then add a tablespoon of olive oil and a couple tablespoons of broth to the mixture. Also add a pinch of oregano if you want. Mix and mash. Create a small ball of the mofongo and place it on the plate to serve. Repeat these steps for each serving. Serve the mofongo with vaca frita, ropa vieja, or any tropical dish you like. You can also add meat inside the mofongo by creating a crater in the ball and filling it with delicious food. 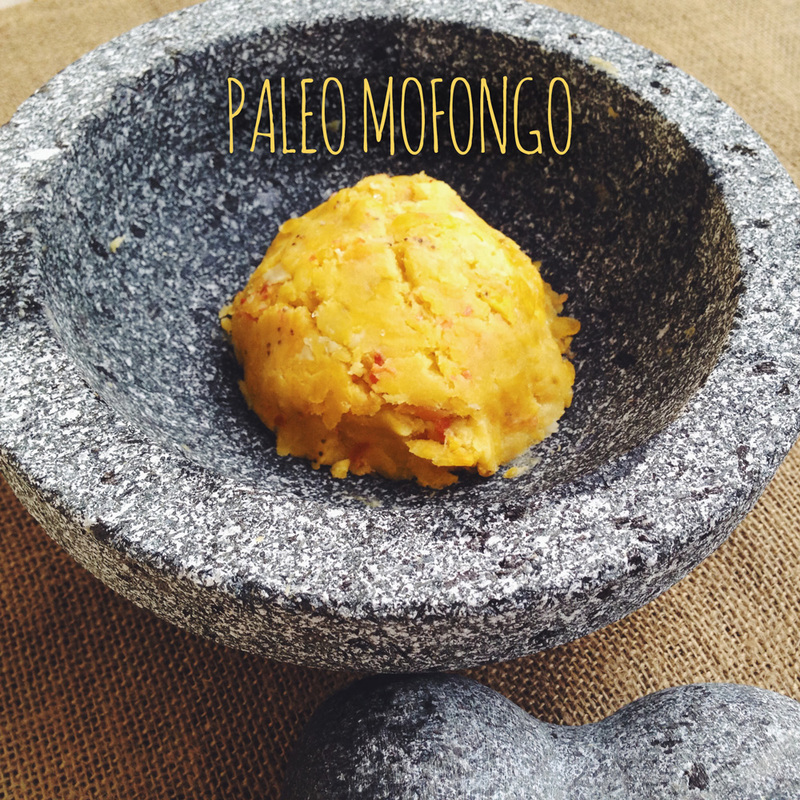 I hope you enjoy the delicious paleo mofongo recipe. 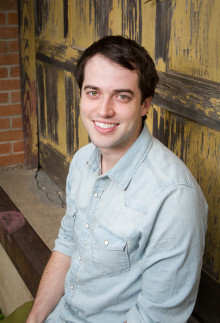 If you’ve made your own version, I’d love to see what you did. Share it in a comment below.